The eighth graders developed a better understanding of matter and learned how physical properties can be used to determine the identity of minerals. Several lab also focused on measurement activities. The children measured the density of clay of different shapes and sizes to discover that these changes have no effect on the density of a substance. They did some density detective work to discover the identity of four cylinders of mystery metals. The children studied the periodic table and made models of atoms to learn about atomic structure and what makes certain atoms ions or isotopes. 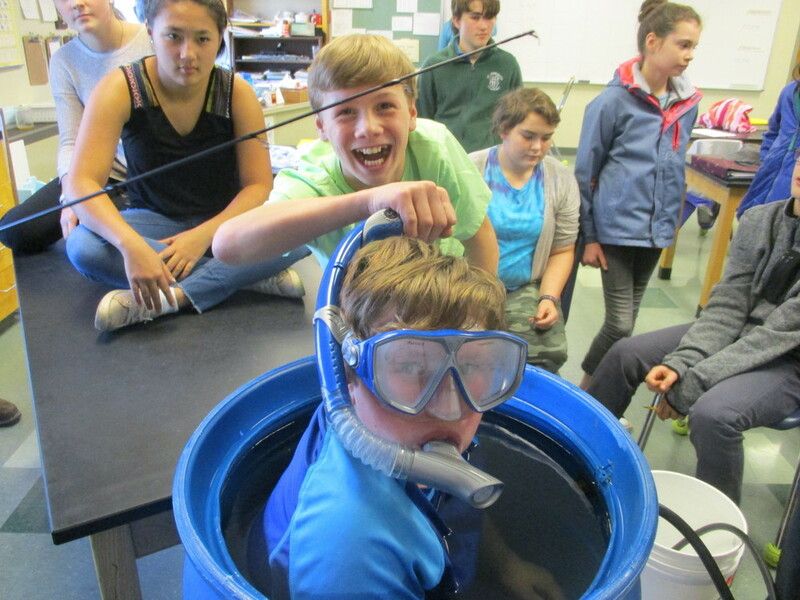 At the end of the matter unit, five of the students volunteered to take the plunge in the “school pool”, a large barrel of water, to use displacement and mass to determine their density. As October became November, the kids began a unit on minerals. They will be identifying minerals by observing and measuring the physical properties of mineral specimens.